The UK engineer’s shareholders must choose whether to accept Melrose Industries’ $11 bln hostile cash-and-share bid. 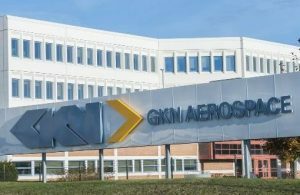 The buyer has a record for turnarounds, while GKN has missed targets. But Melrose’s plans are vague and riskier. GKN deserves the benefit of the doubt. Geely’s earnings doubled to $1.7 billion in 2017, as its SUVs flew off the lots. Chairman Li Shufu’s surprise stake-building ruffled feathers in Germany. But Li’s company is trouncing Daimler’s current local partner, BAIC. That might in time prompt a rethink in Stuttgart. The flag carrier has pulled away from regional rivals, with impressive cash generation and record pre-tax profit. Shares are up 70 percent from early 2017, and it is renewing its fleet. Still, higher oil prices and any extra domestic competition could yet mean turbulence. Hedge fund SRS is waging a proxy fight for three seats on the car-rental company’s board. Avis is a ripe target, having struggled with price pressures and missed targets. But an eight-year investor with two directors in place already isn’t the most persuasive agent of change. The $42 bln Japanese automaker's operating profit tanked, as it discounted cars in America and a domestic inspection scandal took its toll. That will keep its laggard valuation stuck in neutral. Nissan's challenge is to make the most of its alliances with Renault and Mitsubishi. The Indian ride-hailing outfit wants a slice of the action in Australia. The intrusion into one of Uber’s strongholds will irk SoftBank, which is a big investor in both firms. The Japanese group’s minority stakes clearly are not enough to stop fights between taxi startups. Go-Jek is bringing in new backers including Alphabet and Temasek, sources say, as it expands its platform model across Southeast Asia. To ward off local rivals and be a serious contender in a cutthroat business, the now $4 bln startup has to grow quickly. Deep pockets help. After struggling in China and Russia, the app operator swapped its businesses there for stakes in Didi and Yandex. Another sensible partner would be $6 bln-plus Grab, which shares a backer in SoftBank. As Uber aims for an IPO, it's a good region in which to cut further losses. The Chinese bike-sharing unicorn has secured an investment from carmaker FAW as part of a wider push to expand into shared automobiles. It's an effort to rattle rival Ofo's alliance with $56 bln ride-hailing giant Didi. Catching up will be a slog, but may be worth the effort. The Japanese group invested yet more in China’s Didi, as part of a $4 bln fundraising, and wants to put billions into Uber. Yet as Didi expands abroad, fresh conflict with Uber is inevitable. SoftBank may envisage a merger, but for now it is funding both sides of an arms race. Xi Jinping's ambitious infrastructure plan enters its fifth year with some notable struggles. Countries are pushing back for political and economic reasons while Chinese banks grapple with mounting debt. So-called Belt and Road projects require more of a team effort in 2018. Embarrassing lapses in governance and, perhaps even more painfully, in quality control have dented the country's reputation. The revelations are likely to continue in 2018. Company bosses will need to show that they understand what is really going on inside their organisations. A plague of two-wheeled startups has exhausted investor cash and municipal patience. After a cull, the biggest survivors, Mobike and Ofo, will resist calls to form a monopoly. Instead they will chain themselves to other shared-economy winners like taxi app Didi Chuxing. Two Spanish ministries are interfering in a 16.5 bln euro Italian bid for local toll-road group Abertis. France and Italy similarly meddled in recent cross-border deals within the euro zone. Building scale isn’t proving as borderless as proponents of EU champions would like. Co-founder Travis Kalanick used derisive terms to describe the regulated industry he was trying to upend. Uber's new boss, however, just struck a deal with Singaporean taxi company ComfortDelGro. The JV should help it pare losses and compete in a tough market with rival Grab. Having invested in bike-sharing giant Ofo, Alibaba affiliate Ant is putting another $300 mln into rival Youon. That's 80 mln potential users to lock into Ma's Alipay system. The move reflects rising stakes in a cutthroat battle with Mobike, backed by payments rival Tencent.